A few days ago we gave y'all the first 5 of 10 useful facts about golf, so that you could impress your buddies while on your Myrtle Beach golf package. So, without further ado, we offer up the next 5 that will surely impress everyone in your group for your next Myrtle Beach golf package. So, brush up and get ready! Tees weren’t always tees in golf! Back prior to the 1920’s, golfers used hand-built piles of sand to hit off of until the tees were invented. 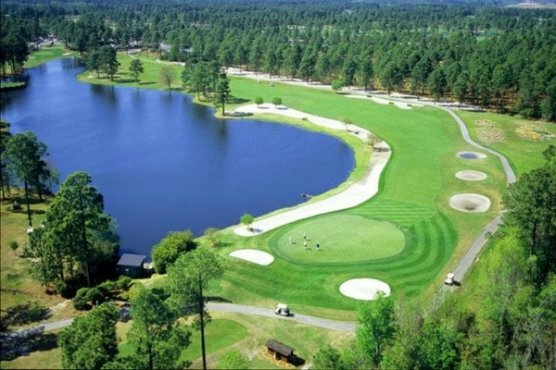 Imagine playing one of your rounds of golf during your Myrtle Beach golf package and having to build your tee on every hole….. you certainly wouldn’t finish in 4 hours! Tiger Woods must be the Mozart of golfers because at 6 years old, he had already made his first hole-in-one! Since age 6, he’s added another seventeen to his total (which can change everyday!). He’s also the only professional golfer to win four majors in a row, but not in the same golf year, which would be a grand slam. Tiger isn’t the youngest person to ever shoot a hole-in-one. That title is held by 5-year old Littleton, Colorado’s Coby Orr holds that title, all the way back from 1975. Most people generally credit Annika Sorenstam as being golf’s female trailblazer. However, Babe Zaharias is the first and only female golfer to make the cut at a PGA TOUR event in 1945, shooting 76 and 81 during the first two rounds of the Los Angeles Open. Back during the height of World War II, Augusta National Golf Club, which is one of the most famous courses in the world and home to The Masters, closed for three years. Golf was replaced by cattle and turkey on its grounds to help support the war effort. Due to the natural fertilizer, the grass was literally greener! Most people and golfers believe that St. Andrew’s in Scotland is the oldest golf course in the world. However, according to the Guinness Book of Records, the oldest is Musselburgh Links, which most likely originated in 1672. But evidence suggests that Mary Queen of Scots may have played there prior to that date.